Who would have thought that fighting was a good way to learn about other cultures? It may be unconventional, but it seems to be working through Wu Lin Feng, a new, but immensely popular form of kickboxing in China that now has a home in Canada. 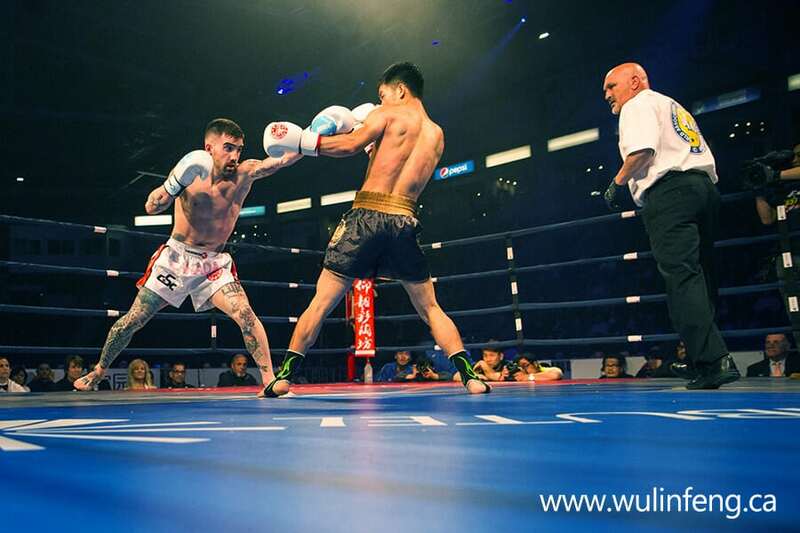 On Oct. 13, the second-ever, Canada-hosted Wu Lin Feng tournament will take place, pitting Canadian amateur kickboxers against their Chinese counterparts at the Markham Pan Am Centre in the one-day East vs. West Battle Series. The tournament is the product of a partnership between Wu Lin Feng, a martial arts competition that launched in China in 2004, and Xinflix Media, a Markham-based internet and media company. Last year’s event, at the Hershey Centre in Mississauga (now the Paramount Fine Foods Centre), had 4,000 in-arena spectators, but the broadcast on China’s Henan Television had tens of millions of viewers. Patrick Hung of Xinflix Media expects this year’s audience to be even larger, given the momentum the event has. It all traces back to the Henan province in central China. Wu Lin Feng, which, loosely translated, simply means martial arts, was formed as a spectator competition series for Chinese athletes. While there have been several Wu Lin Feng tournaments in the United States and other western countries, the sport never made it to Canada until last year. The Canada-China fights were so popular, the Canadian team competed on Chinese soil soon after. Now, it’s Canada’s turn to host again, welcoming a 40-plus person delegation of Chinese athletes, coaches, medical staff and family. Beyond the entertainment value of the amateur fights, Hung said there’s also a significant cultural exchange that takes place at the event. At the Oct. 13 tournament, 10 athletes will compete for each country, ranging in age from 19 to 28, coming from a variety of athletic backgrounds. The rules and referees are in accordance with Canadian standards, which Hung said are similar to those used in China, but slightly more safety-conscious. Though Wu Lin Feng is Chinese, Hung said the appeal of last year’s event came from all Canadians, not just those of Chinese descent. He expects a similar dynamic to shape up this year. The governments of Canada and China have marked 2018 a “year of tourism” between the two countries, an opportunity for both countries to bolster trade and tourism with each other. Hung said that makes this year’s event particularly special.